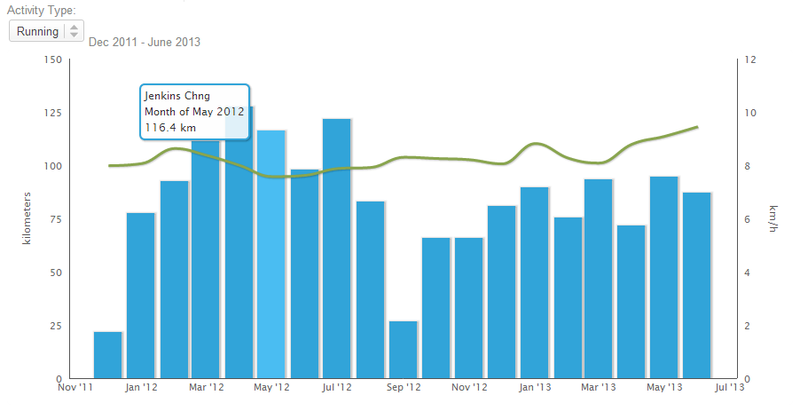 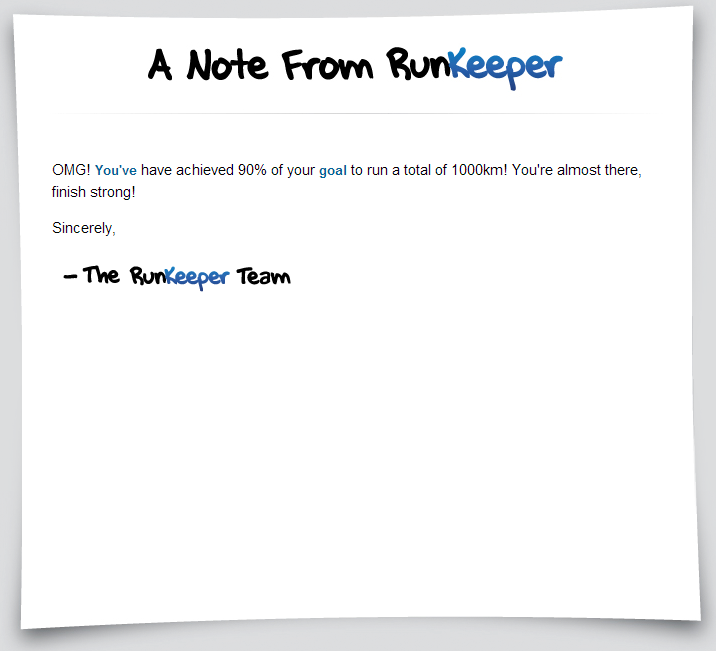 I mentioned before Runkeeper has the feature to set and track goals. 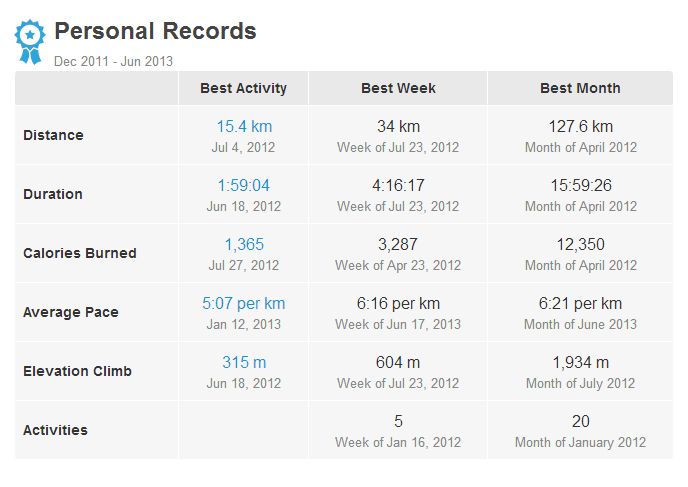 So far I have set and accomplished two goals, 10km and 15km respectively, over the past 3 months. 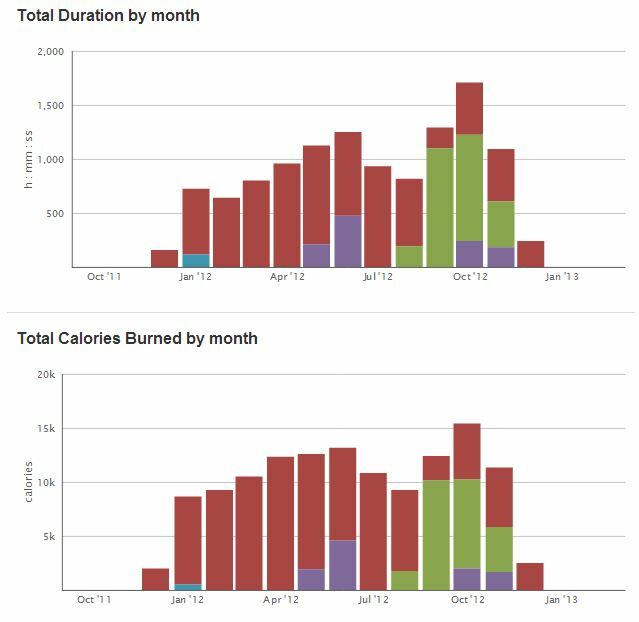 Here’s some reports from Runkeeper on how the goals were accomplished. 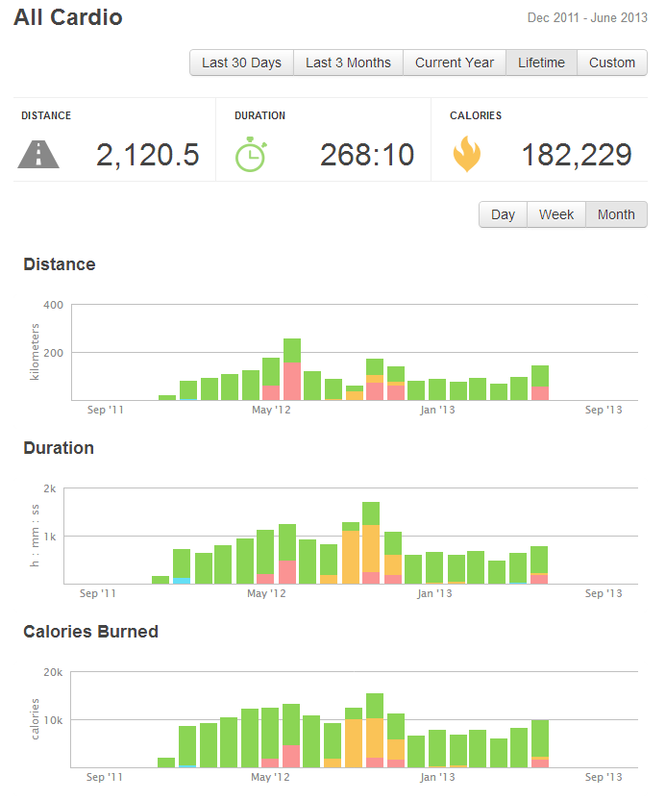 Now, I have just set a new goal, which is to complete 20km by end of the year. 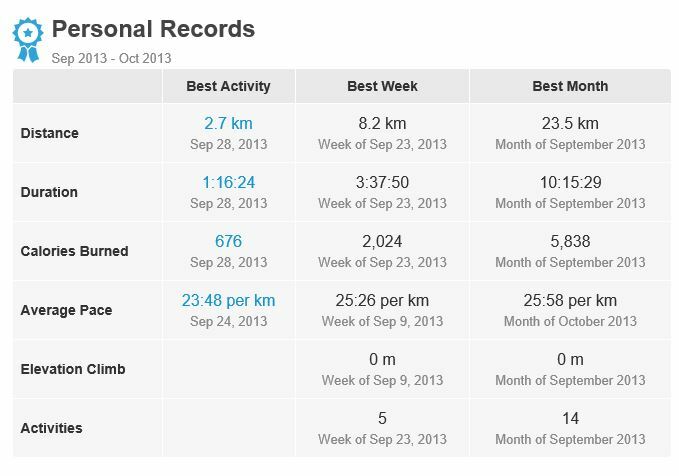 It’ll be a challenging one as I would need to strengthen my injury-prone feet to endure through the run. 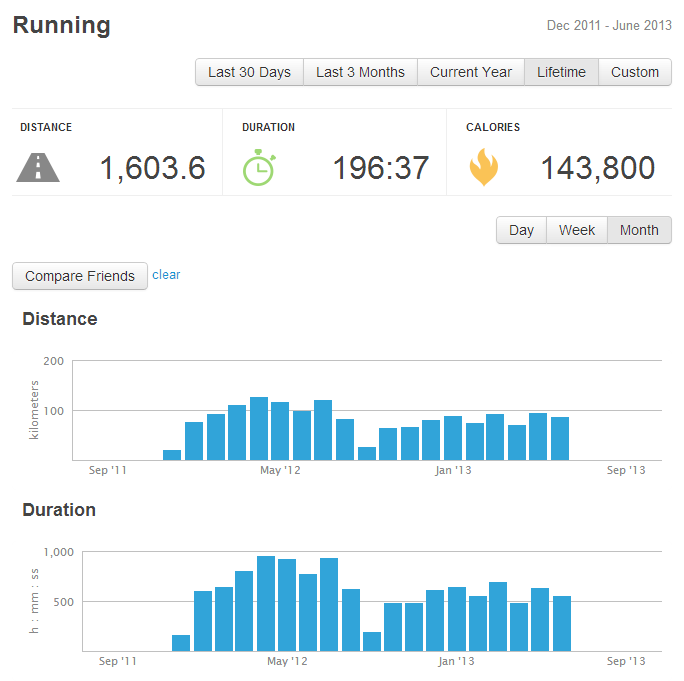 My last run over such long distance was easily two decades ago. 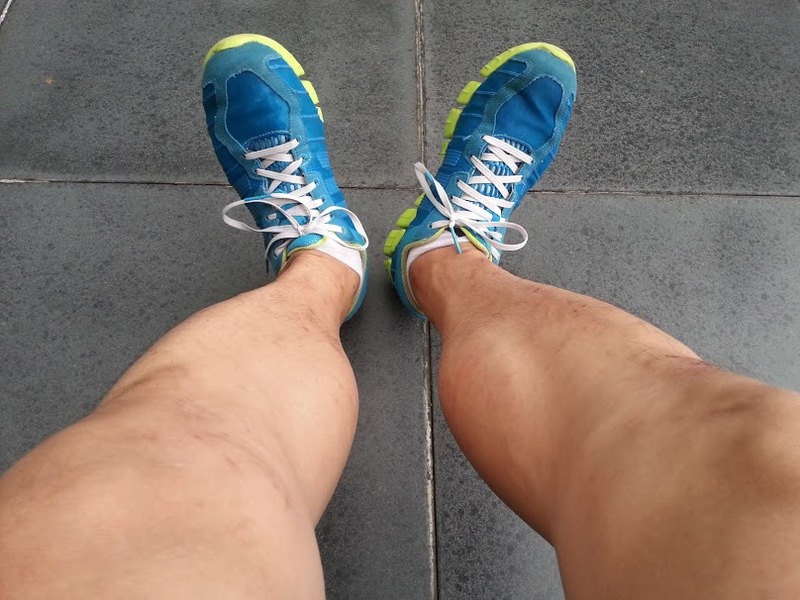 Probably shedding off another 3-4 kg would help too, to reduce the (weight) stress on the feet and knees. 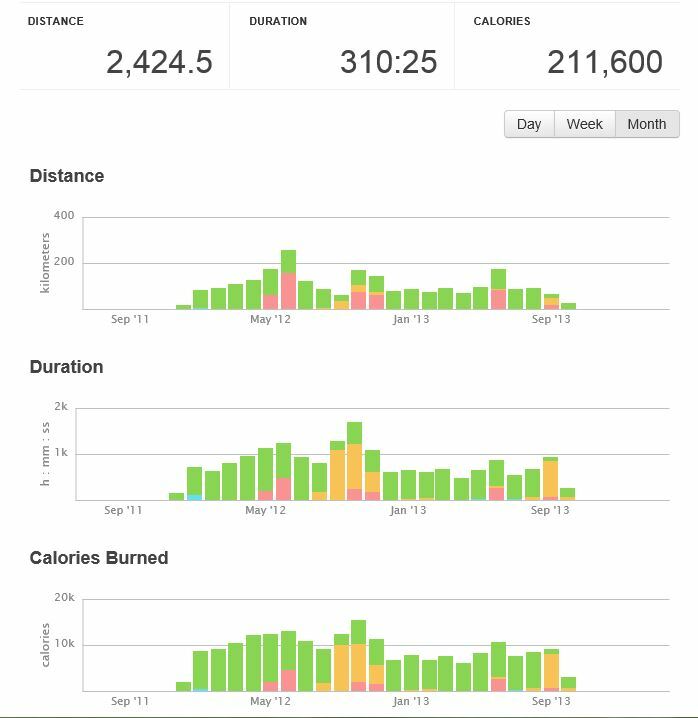 For now, it’s aerobic running for another 2 months I think.